In the summer of 1862 a group of young artists meet at Birchwood Manor, the country home of Edward Radcliffe, who is one of the artists. He has gained much popularity amongst the British art world for his portrayals of a beautiful young woman with flaming red hair. They are there with their models to gain inspiration from the countryside and the river Thames, planning on spending the summer. The house has always held a fascination for Edward, and he has felt since a child that it has called to him. But the summer fun ends abruptly with the death of one of the group and another one missing. Edward's perfect life takes an abrupt turn. In present day, Elodie Wilson, comes across a leather satchel with a photo of a beautiful young lady and an artist's sketchbook with a sketch of a lovely house by a river. Working as an archivist she recognizes that this may hold some significance to the past and is determined to find out who the beautiful woman is and where the house is. As she discovers there is way more to this mysterious person and the house than she bargained for. I was really looking forward to this new book from this author. She has quickly become a favorite from the other books I have read from her. This story, however, was just ok for me. For me, it suffered from way too many characters, with way too many story lines spanning over a time period of 150 or so years, and sometimes the connecting of them all felt a little forced. I thought the story could have used a bit of editing. 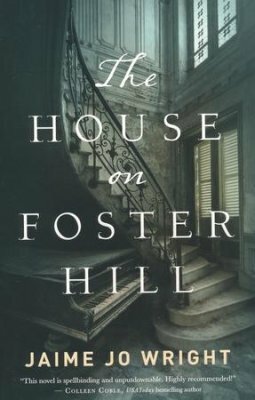 After reading the story I was still trying to remember how certain characters were connected to the house. It also had a ghost element which is not my cup of tea in stories and had I have known that I would have passed it by. The premise was interesting but the execution didn't work for me. I did, however,like the descriptions of old London and the glimpses into the seedier side of orphan life of those days. Those were interesting and sad at the same time. If you like historical fiction melded with the present day and a ghostly element to your stories this still may be something you might enjoy. I have loved several other books from this author so even though this was a miss for me, I will still look forward to other novels from her. Bailey Fleming has found out that she wasn't who she thought she was. Her mother has lied to her her whole life and her marriage was all based on lies. Now her mom has been murdered and left her a cryptic message to run for her life. Who can she trust anymore. Running to the only place she can think of, a remote cabin that her ex gave her to try and buy her silence, she wonders who she can trust anymore as she tries to figure out what or who her mom could possibly have been involved with that would want her dead. But when she finally finds the cabin, the bodies of some young girls turn up linking them to a human trafficking ring. An agent on the case, Lance Phoenix, wants very much to solve the case not only for the girls but because he's been searching for his missing sister for years. 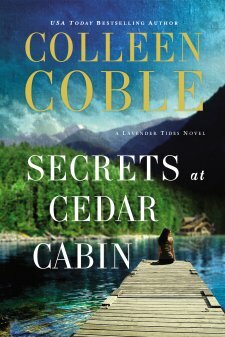 With clues leading to this cabin, can he rely on Bailey to help him solve the years old mystery or will her own mysterious past get in the way? I really enjoyed this wrap up to the Lavender Tides Series. It was fast paced and hard to put down. The story focused on the Bailey, the youngest sister of the three siblings that this series deals with and an FBI agent named Lance who is trying to find his missing sister. The whole series had an interesting premise of 3 siblings separated at a young age through tragedy. It connects them all together in this last installment but this story also dealt with a very real issue and that is the one of human trafficking. At times the story was hard to read because it deals with the tragedy of how young girls are lured away and then taken and what might be happening to them. I thought the author did a very good job of bringing awareness to this very important topic. I liked the character of Bailey and how she struggled to deal with all the lies that made up the foundation of her life and now put her in a position of who to trust going forward. The romance was not heavy handed and I appreciated that though as is usual in stories like this was a bit fast moving. There were a couple parts involving FBI agents that made me wonder if they would actually do that but I can see where it was necessary to keep the story moving and not get bogged down in procedure. All in all I really like this story and the series as a whole. Richard is a very well known accomplished pianist who has played the starring role with symphonies all over the world. He has spent a lifetime honing his craft to become the best. Music and piano are his life. He spends up to 10 hours a day practicing, to the detriment of his family life. Not that he notices the time. When he's at the piano all time fades away as he is carried away by the music and the perfection of never making a mistake. Karina is also an accomplished pianist from Poland. She and Richard met at a music college in America. In ways she was technically even more better than Richard naturally feeling the music where Richard had to work at the emotion. When he finally asked her out they clicked immediately, their love for classical music being the foundation. But then Karina took a turn in her choice of music pursuits when she fell in love with jazz, something that Richard could never like. He didn't even consider it music. After marriage and a child, Richard moved the family to another city to pursue his career and so the rifts within the marriage started to build to the point they became irreparable, each blaming the other for the breakdown. And now Richard has ALS. As the disease claims him piece by piece, with no one else to do it, Karina becomes Richard's caretaker. Both are filled with the regrets of the past but don't know how to move beyond it. But time is not on their side and both of them must take some hard looks at the role each played to get to where they are today. Brill Jessup is the new Police Chief in the town of Sophie Trace, Tennesse. Not only is she the new chief she is the first female chief the town has had, so she feels she has a lot to prove. Her family made the move from Memphis where she was on the police force for 18 years. She had an excellent career there and was known for finding clues others missed. But the family moved when her personal life took a bad turn in an attempt to be where Brill would be less busy solving major crimes and would have more time to devote to their daughter. She and her husband, Kurt, are trying to make a decent home life for their 12 year daughter still at home . Trouble is Brill can barely tolerate being in the same room as her husband. Kurt, her husband, is trying everything in his power to make things right with Brill after his huge failure, but no matter how kind and loving he tries to be it just makes Brill more bitter and angry. In trying to hold it together for their daughter, they are butting their heads against stone walls with each other. And their daughter is noticing the tenseness of her mother towards her father. Now Brill has to deal with a rash of town people who seem to have disappeared off the face of the earth . The locals seem to want to blame an old Cherokee legend that has the spirits of former Cherokee who were driven off the land coming to get their revenge. But Brill knows there has to be a logical explanation. But with seemingly no clues left behind it's an race against time to find the missing people. And now she has a gang trying to raise it's head in the local school. As Brill works around the clock, she must confront the real enemy behind what is going on both in the case and at home. I loved this story. 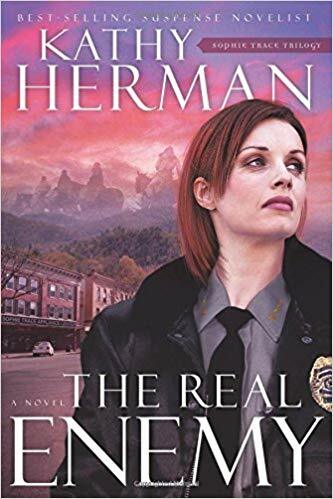 Kathy Herman is one of my favorite Christian suspense mystery writers. She is able to write a great page turning mystery while also placing in tough moral dilemmas for the characters to wrestle with. The story was interesting, fast paced and Brill's feelings were very raw and relatable. It drew lots of emotions and made me think. I had read books two & three in this trilogy years ago and really liked them. They were sent to me for review so I was always wanting to get to the first book to find out how the story all started. It's been on my library list for years. So this year I was determined to get to it to knock it off for my reading challenge and it didn't disappoint. Set Aside after 2 chapters. Didn't interest me. Autumn Manning was simply living her life, coming home from work one day when a terrorist's bomb rips her train apart. Twenty two people died, and Autumn lived. Now one year later, the anniversary of the explosion is drawing close and Autumn doesn't want to go. Since being found alive, she has wrestled with guilt, not only at being the only survivor, but also because she was misidentified at first, and another family thought they had hope and she feels she ripped it away from them. As Autumn tries to piece her life back together, she struggles with leaving the house, with being obsessed with the people who died in the attack and with all the unanswered questions. Meanwhile Paul Elliott, is also trying to move on. His wife died in the attack on the train. But a glimmer of hope was offered to them when it was thought she was the only survivor, only to be taken from them again when it was discovered there had been a mix up in the identification. Now he just wants to get past this anniversary and move his family on. But his 12 year old daughter wants to keep remembering and Paul is terrified she will discover what he has been trying so hard to bury. And now circumstances have brought the very woman who was mistaken for his wife back into their lives. I loved this novel. It is hard to review this story due to it's depth of storytelling. I don't want to give anything away. It is such a deep story full of complex layers. It deals with survivor's guilt, truth and lies, forgiveness, grief, and purpose of life just to name a few. The character's are so rich and well written. My heart was torn for them all throughout the story and the author was able to really delve into the emotions and struggles from several angles of those who have survived something like this or to be a family dealing with with the loss of a loved one due to terrorism (or really any tragedy that claims lives due to another's actions). I was really affected by this story and the author's insight and ability to really make me feel invested in the characters and what they were going through. It was one of those where I couldn't pick up another book for a few days because I couldn't stop thinking of this one. A new year of anticipating some great reads. This year, once again, my main goal is to work on getting the multitude of books that are already swamping my closet read and pared down. Last year's goal setting really helped this along. So I'm going to keep the skeleton of that and maybe refine it even more. So for 2019 here are my goals. I will add in the titles as I finish them because it was nice to see that list. Even though my numbers were less than usual my goals were pretty much reached minus the library list book I missed in November and an Anne of Green Gables Read. Once again the asterick means it was on my library list but then I found it at a little library and also was then owning the copy. At least 2 books per month from my own piles. This is the story of 3 women. Two are war brides from World War II traveling on the Queen Mary to join their husbands in America. After surviving the horrors of war, one in France, the other in Germany they are hoping to start anew in the U.S. But both hide deep secrets that they hope will never be found out. One is a present day woman who is facing a huge decision with her husband. But when an old aquaintance calls desperately requesting her assistance she must face the secrets she herself is trying to run away from. Helping this person requires her to take a visit to the Queen Mary which is now docked in a city close to her. 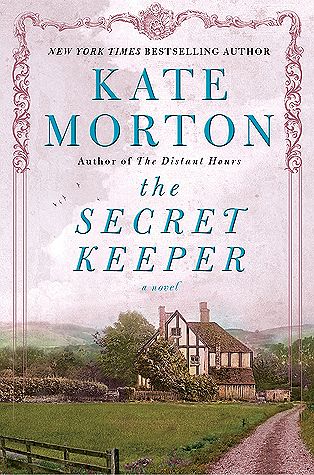 What she finds causes her to dig into her secret in order to solve the mystery. I had a real love/hate relationship with this story. I love most works by this author and the cover is so beautiful it lulled me into requesting it for Christmas without first checking into a description. But in reality the description on the back would not have truly revealed to me what this story is really about. First the good stuff: Loved the story of the two women, Simone and Annaliese, from World War II and the heartache and horrors they faced and survived. Loved the story and mystery that was developed between the two of them. Their characters were richly told and very believable. I was drawn right in and had a hard time putting the book down when their part of the story was being told. What I didn't love or even like was the contemporary part of the story. Brette is an individual who can see and communicate with "drifters", ghosts of individuals who are stuck in a place between life and afterlife. (This is not a spoiler as you learn this right at the beginning). For whatever reason, they are unable to move on. This so-called gift is passed along amongst some of the women in her maternal side of the family and no one knows who will get it and who won't. Brette has been trying to suppress this gift on the advice of her aunt since childhood but when an old schoolmate desperately calls her for help it leads her to the Queen Mary, a ship which historically was used by royalty, used during the war for battle and for transporting war brides and which is now docked, rumored to be haunted and offers historical tours. When there, she encounters a drifter who is also desperately trying to show her something and she feels she must solve the mystery. I felt this whole part of the story just detracted from the wonderfully written historical part. The ending concerning the drifter and the ship was just weird and left me disappointed. The whole ghost thing was distracting to me and I wish the story and it's mysteries could have been told without the ghost narrative. Though I love this author usually, she is one of my favorites, this is now the second book I've read from her that has had a ghost involved. I think I will be checking reviews a bit better to get a better gist of what her story is about seeing as how the back of the book description didn't let me in on any of this (all it said was the character visits the famously haunted Queen Mary...I did not get from that that this was going to be a story who's major plot would be about communicating with "drifters". I don't know maybe I'm dense and don't read between the lines well). Ghost stories are definitely not my cup of tea and I feel if a book who's major storyline is going to be about ghosts maybe should make that a bit more clear in the description? 120 pages in I finally set it aside. Couldn't get into it. First... there were way too many names mentioned, too many characters, too many references that reference other books. Second... the "information gathering" on the woman the main character was interested in bugged me. At one point he had a video call with her, replayed it after he hung up with her, paused it at a certain point and printed off her picture. He's asking mutual friends for a lot of info on her. A little too stalkerish, creepy, weird to me. Third... The main female character apparently writes "fictional" novels based on real life friends that it turns out are books in a very popular series that this actual author of Full Disclosure has written. A little too much of mentioning and bragging up this series. Even though I loved the series, and reread the every so often, it was just too much like patting oneself on the back within this story for me, it made me uncomfortable. Fourth...the female main character was built up to be just too perfect of a person in the first 100 plus pages that I read. All in all, it just wasn't drawing me in and my mind was wandering as I was reading so I set it aside. Maybe another time I'll give it another go. Becky Myers used to be a very busy surgical nurse and assistant in Dr. Isaac Blum's medical practice. But some tragedies in the doctor's life have taken his ability to cope with life. Somehow his care has landed squarely into Becky's lap. Unable to continue his medical practice, Becky packs up what they have and heads to Hope River where the Doctor has a home. She hopes the change of scenery will knock him out of his stupor. But when they get there things have changed and Becky and the doctor find themselves homeless. Looking up her old friend, Patience Murphy, the midwife of Hope River, she hopes that she can help her out. 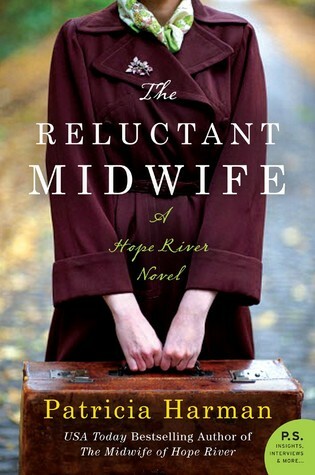 Once settled into the midwife's old home, Becky's next step is to try to find a job. But the depression has hit West Virginia hard and there are no jobs to be found. What's left is to help Patience in her midwifery, but Becky has never been comfortable with the whole birth process and would rather deal with the sick. When an opportunity comes her way to work as a nurse at the Civilian Conservation Corps camp, she nabs it thinking she can get away from helping birth babies. But now Patience is pregnant and facing months of bed rest and it seems she still must reluctantly take on the delivering of babies. Then new tragedy strikes and it will take all her skills and courage to get through it. I did enjoy this 2nd installment to the Hope River novel. One of the time periods I love reading about is the 1930's and the Depression and this book didn't disappoint in that regard. The descriptions of life in those times was very good and I can't imagine what it must have been like for 40% of people to be out of work and then the dust and fire storms wreaking havoc on top of it all. The Civilian Conservation Corps was a real program developed by then president, Roosevelt to revive the rural economies. It "employed" thousands in several states and was a way for the men to get money sent to their families while it gave them meals and room and board. It was interesting reading how a nurse would cope with a huge crew of all men and the issues that that would bring along in those times. Though at times I felt there were a few coarse descriptions of some of the medical stuff. The Facts page at the back of the book was very interesting concerning this "tree army". Though Betsy was a reluctant midwife in the story I think, if memory serves correctly, there wasn't quite as many "delivery" stories as the first book. I loved the author's character development in both the main characters and some of the secondary and side characters as well. They gave a real understanding to the things that might have been going on in people's lives during that time. And Betsy having to face her fears of midwifery because she had to was good as well. Dr. Blum with his mental health issue was especially interesting to me, along with aggravating at times, and yet how he developed down through the story was fascinating to me. 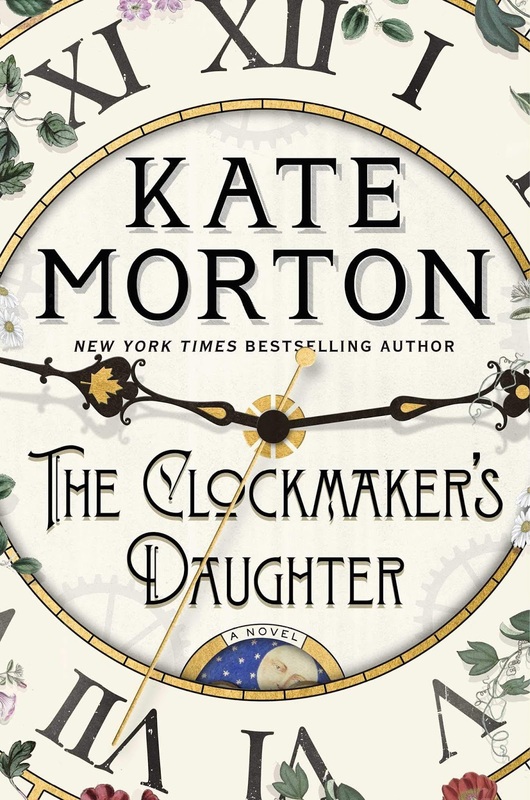 I liked that Patience from the first book was back in the story but didn't override the introduction of Betsy and yet didn't fade away either. The author balanced the two of them very well. Shauna is struggling to make ends meet for herself and her small boy after her beloved husband dies in a climbing accident. She misses her husband desperately and totally blames his best friend, Zach, for his death. Zach is into extreme sports and Shauna feels he egged Jack on beyond his capabilities and what was safe. 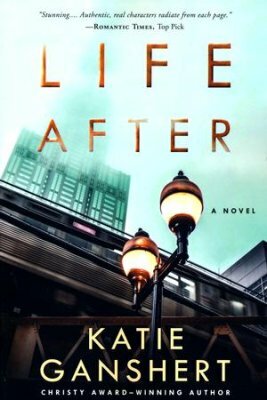 But when Shauna's business partner is killed in an explosion and the circumstances seem to point to murder, Zach is the only one she can turn to keep her and her child safe. Zach wants to help them out. His home security is top notch and he has two guard dogs, so to him it makes sense to have the pair move into his home for protection in spite of the gossip he knows they will endure and in spite of the anger directed towards them both by Shauna's mother in law. Not only will it help to keep them safe but it will make him feel less guilty about Jack's death to be helping out his widow. But when secrets about her family start surfacing, Shauna's safety really does start to be in jeopardy and they wonder if they can piece together the connections before something goes terribly wrong. 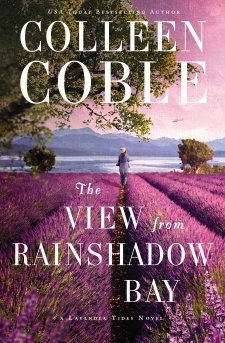 I really enjoyed this latest from Colleen Coble. It's the first in a new series called Lavender Tides and I'm looking forward to more. I think it might be my favorite that I've read from her. The story is a page turner for sure, but what really made it good for me was that it wasn't just a murder suspense mystery but that it had depth to it and involved my emotions as the characters struggled through their grief at losing a young husband, father and friend. The way they were written was really good and very believable. Though there is an element of romance to the story as is in all the author's mysteries, it didn't take over the story and it didn't make me roll my eyes at an "insta-love" element. The ones involved had known each other many years and I found the development of their attraction sweet and probably quite natural. As for the mystery I was really drawn in and couldn't put the book down in a lot of the parts. It paced really well to keep me turning those pages. A few unanswered questions at the end set the book up nicely for the next in the series. Sarah Nickerson is the mom who does it all. She juggles a high powered career, a husband who also is climbing the career ladder, and 3 young kids one of whom is under a year old. They live in an affluent neighborhood outside of Boston with both her and her husband commuting into Boston to work and also own a home at a ski resort where they try to escape on the weekends to balance the insane schedules and 80 hour work weeks they keep. She has it all and for the most part loves the busyness. She is the queen of multitasking to keep that wheel turning. But one day it all comes to a grinding halt in a split second of time when she makes the choice to answer her phone while driving. 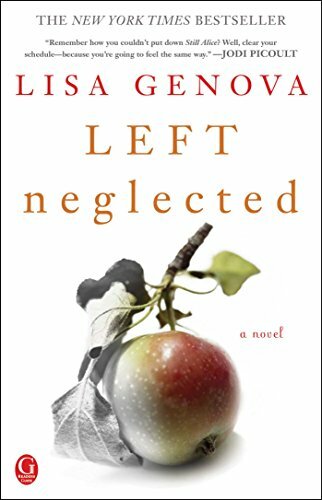 Surviving the accident but sustaining a brain injury called left neglect, she strives to put all her skills and her competitive nature into getting better and getting back to her life. But brain injuries don't always listen to the strongest of our commands or determination and in the forced slow down Sarah must learn to listen to her body, find new ways to navigate life and find the good in the bad circumstances. Retreating to the ski hill she loves, she finds healing and peace but not in the ways she would have ever thought. Such a good book again by this author. Once again, she is able to weave a fictional story around a real life brain illness or injury and teach her readers about the effects on both the injured and their families and those around them. It's a very real, sensitive portrayal of the struggles they face and gives the reader compassion for those facing this kind of injury without it being a dry textbook factual read. You are drawn into the story through the emotional elements the author is so gifted at bringing out in both the characters and the reader. I also love how in this story the concept of the American dream is dissected in the light of one family having to re-examine what they thought was that dream and the accomplishment of it and taking a hard look a what really is important to them in the long run. I gave this book a 9.5/10. The only reason it didn't score 10 for me was because in the beginning Sarah is having dreams at night and that really slowed the story for me. I'm an at face value reader and struggle with allegorical and hidden meaning elements in stories so I found myself really skimming those parts. Once those parts were done in the story it really picked up and became hard to put down. This book was a re-read for me. I first read it many, many years ago and remember being really impacted by it and I wanted to see if I got the same reaction from it with a reread at a different point and place in my life. I think this book has been republished many times with different covers and this is the cover I own. It is much more muted than the other ones and I kinda like it. 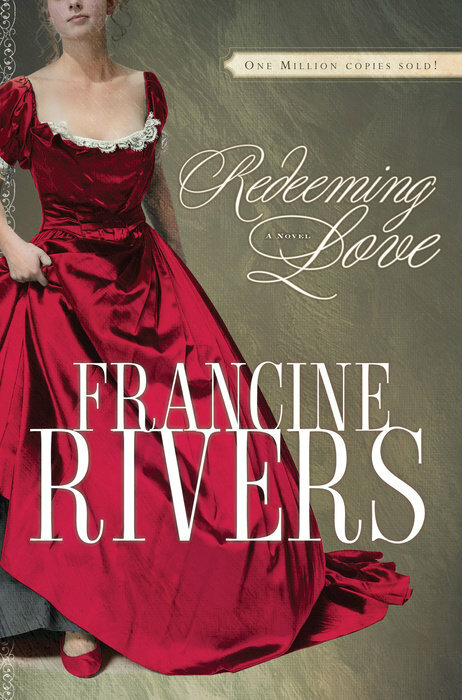 Redeeming Love is a retelling of the book of Hosea from the bible where God told Hosea to marry a prostitute named Gomer as an allegory to how the nation of Israel kept leaving God and His ways and God's unconditional and loving pursuit to bring Israel back to himself. The book is mainly in California during the gold rush days of the 1850's. Angel is a prostitute working in the town of Pair a Dice. She is highly desired for her beauty. She comes at a high price but she has also paid a very high price all of her life. Betrayed by men all her life, starting with her own father, who wanted her aborted, she has built a very high wall around herself to protect herself. Wanting nothing more than to just escape the life she has been forced to live and to have a little place all her own, she has been saving towards that for years. But when she tries to get her money for that from the owner of the brothel, she is once again betrayed. Michael is a vegetable farmer who loves the Lord. After coming into town to sell his produce, he sees Angel walking down the street and feels the Lord telling him to marry her. He tries to obey and uses all his earnings to try to see Angel, show her unconditional love and convince her to marry him telling her he offers her a better life. But he is met with disdain and contempt. Eventually they do end up marrying but only because Angel is in a position where she can't refuse. As Michael tries to build a home for them and see her as God does and tries his best to show Angel God's love, he is met with resistance at every turn because Angel sees herself in a very different light. She has one thing on her mind, and that is running and getting the money she worked so hard for so that she can fulfill her dream. Michael knows Angel's brokenness can be healed but only through God's love but can Angel see through her own pain to realize that. Once again this book greatly impacted me. The first time it was with the powerful pursuit and love God has for his lost ones, myself included. This time, I think I was more impacted with my own deep down attitudes and thoughts. For that reason I'm glad I reread it. It gave me such an insight and an opening of my eyes into to those things I might up to this point have jumped to conclusions about. My eyes and heart were more opened to the ugliness that might put a person on their path. And my eyes were definitely opened to how a person may struggle with the love of God and the new life God wants to give them. My heart broke as through Angel's story I saw myself sometimes reflected more in the character of Paul who defined hypocrisy at it's finest rather than in some of the other Christian characters who showed love, grace and mercy towards Angel. Depending on where we are in our own walk there are characters one could relate to in this story. It really shows the depth of the story that it spoke so differently to me this time than the last time I read it. In the beginning the Publisher has a preface and an admonition that they would give the book a PG-13 rating because of the story of adultery, marital infidelity and prostitution. There are also instances of child abuse and physical and mental abuse in it so they caution to use discretion with young readers. It takes on many very difficult issues that our society and people as individuals still face in today's world. Because of this the story may be triggering for some and offensive and controversial to others. The author made some choices so that the reader could very thoroughly understand the things that Angel experienced to bring her to the place where she was and to bring a powerful understanding that we in our sin, our attitudes, our hurt and pain are never beyond the love and pursuit of God which really the bible also shows in the story of Hosea and Gomer and in the story of mankind in general. The story showed how some of us make mistakes and return to that which God has saved us from and that not all of us have that desired immediate total heart change when meeting God. Sometimes there are deep things God has to take care of and it is a struggle to understand how God could love us but God continues to draw us no matter our sin or struggle. I thought the story powerful though thought it was just a touch long and a couple of parts unnecessary but it is definitely a story that has great impact in a lot of different areas. Making plans to move to America from England, Owen Allen finally confronts his spinster aunt, who has taken him and his sister Annie in when his parents died, with his plans. But those plans involve getting established in America before he can send for his little sister Annie. Because of his aunt's manipulative influence, he moves Annie to a boarding school, with the promise he will send for her within the year as soon as he earns enough in his American Aunt and Uncles gardening business. Booking passage on the Titanic, Owen takes a young stowaway under his wing on the ship when he recognizes the young boy has no one. When the Titanic sinks, Owens makes the ultimate sacrifice and Michael makes it to America with nothing except the vow to Owen to get Annie to America and coat pockets full of Owen's seeds, shoots and garden plans to start getting Owen's dreams to fruition. Annie is devastated by her brother's death and though now connected to Michael through the promise she struggles with forgiving him for living when her brother did not. As Annie tries to deal with her grief and move on with her life, and Michael continues saving to bring Annie over, circumstances they never thought possible conspire to keep her away from the life in America her brother dreamed they would have. 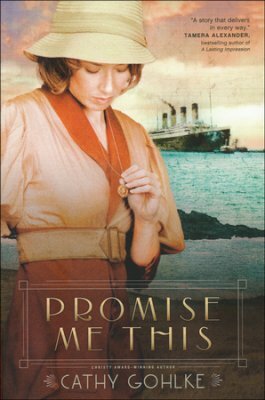 When Annie disappears in the midst of WW I Michael takes his own life in his hands to cross the ocean yet again, this time back to England to find Annie. I really enjoyed this story that involved not only the Titanic but WW I which followed soon on the heels of the sinking of the ocean liner. I'm always up for a story that involves the Titanic and this didn't disappoint in it's telling of that historical part. The young stowaway made an interesting addition to the tragedy that is the Titanic . I haven't read too much on WW I and the story brought the horrific battles in France and the part that VAD nurses played in tending to the wounded on the front lines to life. It all brought out some deep emotions in me in it's descriptions both of the sinking of the Titanic and the aftermath to both the survivors and the families and the devastation of this war. There was some really nice character development and it was nice to see their growth and change from the beginning to end of the story. The only character that I questioned a bThe only character that I questioned a bit was the aunt and her seeming unchallenged ability to wield power over whomever she basically chose even after her death. But it definitely made for a page turning aspect to the story. I loved the themes of sacrifice for another and the exploration of what that means in the life of a Christian, survivor guilt, anger, forgiveness and fulfilling your promises that this Christian historical novel presented. The only part I didn't enjoy was the addition of some sentences in French as some of the French characters spoke even though they were basically translated within the next sentence or two. I found it frustrating and ended up basically just skipping those sentences (which were only in a few of the chapters) and found they could have just been eliminated altogether. Betsy and Ty live on and work a dairy farm that Ty inherited from his grandfather. It's a lovely hard working idyllic life. The only thing that would make it perfect would be too add the children they always dreamed of. But after years of trying and undergoing different fertility treatments it looks like it will be a dream that will never come to pass. Jenna is Betsy's younger sister and couldn't have a more different life. She too knows about broken dreams but when an opportunity comes along for her to once again stir that passion, she calls upon Betsy at the last minute to help out with her own children. Reluctantly Betsy agrees because she has always felt the pull to take care of her sister. But taking on the girls just might end of breaking her heart in two and what is going to happen when that two weeks turns into more right when everyone is on edge with an approaching hurricane? The first thing that drew me to this book was the cover, it's just gorgeous. The second was that it is a story of sisters. I'm always up for a good sister story. There are many dynamics that come into play in the relationships that sisters have and this story touched on so many of them. The deep bond of not only being sisters but also being the only two siblings within a family, the perceived or not favortism of the parents, the responsible older sister compared with the wild child younger sister all play into where they are in their lives. Betsy was a character who I could relate to, being the older sister. Both sisters have some issues from their past that affects how they relate to one another and to the world around them. I thought that their characters were quite realistic in that they both had good qualities and yet had flaws arising from the hurt in their lives that caused some questionable decision making. The author was able to involve my emotions toward them in one way or another. 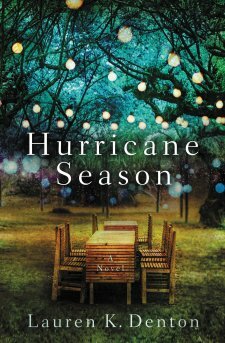 The corresponding story of the building hurricane and the swirling events happening in their lives really kept me engaged as I wondered if it all would just blow over or whether there would be devastation, either on land or in hearts. I liked the character development of all the main characters in this story and really liked the how the supporting characters were written. 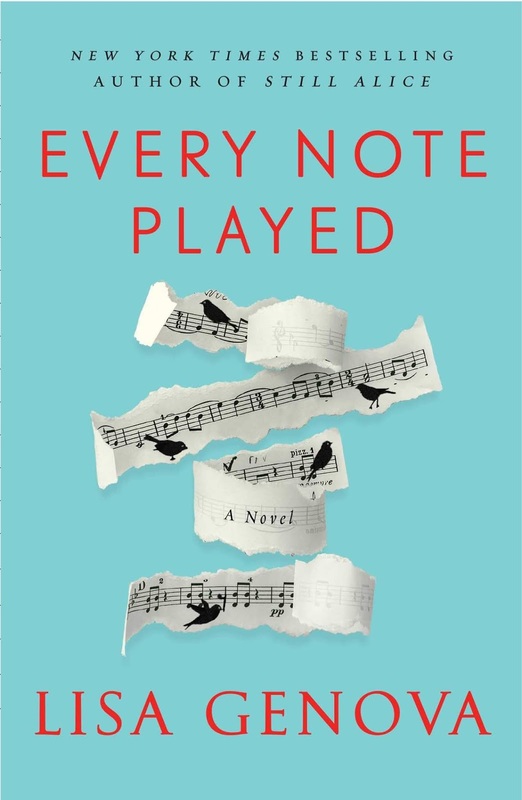 This was a nice, clean, touching contemporary story of the relationship of sisters and overcoming shattered hopes and dreams that I really enjoyed but because it did come from a Christian publisher I did find myself wishing there was a bit more element of faith within the story. 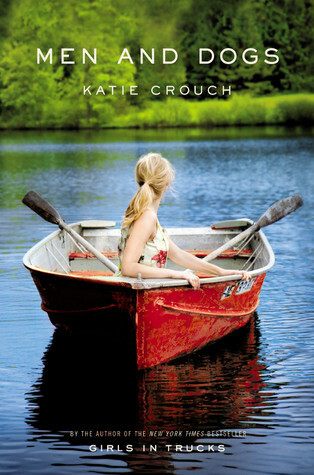 That said I would recommend it if you like a contemporary story about sisters, lost dreams, or hope. 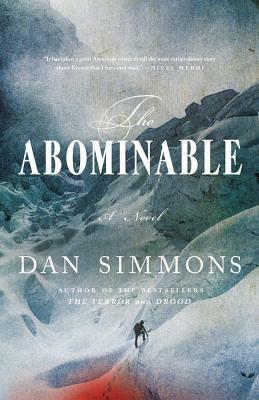 Review: Journalist Dan Simmons is encouraged by his wife to go and interview an aging mountain climber in a senior's home so that he can get inspired for the Antarctic novel he wants to write. When meeting Jacob Perry he is taken on an epic journey as "Jake" recounts an unbelievable story that he lived through in 1920's. As Jake and 2 other mountain climbers, a British war veteran and a French mountain guide, are climbing the Matterhorn, word comes to them of the infamous death of George Mallory and his climbing partner Sandy Irvine. Shaken to hear the news they nonetheless plan an attempt to conquer Mount Everest themselves the following year. Not getting British funding need to mount an expedition of this magnitude they team with a Lady Bromley who is grieving the disappearance of her son, Lord Percival, on the formidable mountain. She will fund the trip if they will look for her son whom she believes is somehow still alive, but on the condition that a cousin of the family goes and is in charge of the financial aspects of the expedition. The team accepts her generous offer all the while planning a summit attempt while they try to find her son. As the team, joined by the cousin who is also a climber, take on Everest, their climbing becomes even more dangerous when they start to be pursued by someone or something. It is now life and death and not just from the mountain. The premise of this book sounded so intriguing and I find the main gist of the story still interesting. What I found though, was a 660 page chunker of a story that become bogged down in itself. I think it could have really used some major editing. The research this author did was undeniable. If you didn't know the details and technicalities of mountain climbing and especially the technology of the time of the story, you will when you are done reading. However, there were some excessively long sentences. For example there was one that was 104 words. Yes, I counted! There were some things that were totally overly described. Though I understand detailed descriptions of mountain climbing and it's techniques as it is a story of climbing Everest, did I really need to know page after page describing the ridiculously lavish mansion of Lady Bromley? It really had no bearing on moving the story along. It was not until page 256 that the mountain even came into play in the story. There were some very exciting pages in the story and some that I basically skimmed over. And when it was finally revealed what the abominable was it was like a slap in the face coming out of nowhere. Again, unnecessarily overly described. It could have been made known without the great detailed description. And after slogging through that many pages to have that end up in my face left me really disappointed in the book as a whole. Roman Velesco is a successful artist who has the world at his fingertips. Living the high life he can have whatever he wants but avoids most relationships beyond how they can serve him at all costs. His past keeps him a bitter loner with walls and secrets. His art brings him money, fame and fortune but not satisfaction or joy. When he hires a young single mother to be his new assistant he can't imagine how she will change his life. Grace has some secrets of her own. Taking the job for Roman was a desperate move to move beyond her self-doubt and guilt and try to make it on her own and build a life for her and her infant son. Grace is a believer and has never tried to hide her faith, but as she starts to finally think her life is on track her faith starts to clash with Roman's lifestyle and his expectations. First of all, the cover...it is beautiful! I loved this book. In fact, I think it might be my favorite from this author. She has taken a story of two broken people who had traumatic childhoods and wove a beautiful story of sin and it's consequences, mercy and redemption and love. Both Grace and Roman had very traumatic childhoods and rejection that scarred them deeply. The way they handled it as they grew up could not have been more different and it went on to reflect in their adult lives. I loved how the author explored how childhood trauma follows you into adulthood and affects all your decisions. The main characters really drew me and made me think about how we as adults are shaped by what might have happened to us as children. The paths Grace and Roman chose and the reactions and feelings they had were real and raw and it was easy to cheer them on and to hope for the best for them. I really liked the secondary characters too and loved the stories that connected them to the main characters. The story has been criticized by some as not being biblically truthful to some events that happened within the story. Yes, it might not have been 100% biblically accurate. But my personal take on that is that I like to take stories at face value and I am not necessarily reading a fiction novel to get a theological dissertation to be within the story. As long as it doesn't overtly and purposefully cross the foundations of the Word I am ok with an author taking a few liberties in trying to get a point across. This story just sucked me in with real characters who make mistakes, who are trying to survive their pain, their reactions were honest, raw and real. It re-opened my eyes to the fight of good and evil over a soul and it made me re-realize the love of God and how He reaches out to us where we are at throughout our lives and in ways that we as individuals with different backgrounds and experiences can relate to even though it might not sense to others. Agnes grew up in poverty and neglect in Iceland in the early 1800's. Abandoned at a young age by her unmarried mother and never knowing her father, she moved from farm to farm working to stay alive from the age of 8. Growing up never learning what love was or even what a hug felt like, when she met single "healing doctor" Natan Kettilsson in her 30's, she agreed to move to his farm and become his housekeeper and given the hope that she might become his wife. As Agnes tries to make a life for herself and finds herself falling in love with Natan events conspire and she finds herself, along with the other housekeeper and a 17 year old male on trial and convicted of the brutal murder and attempted cover-up of Natan and another man. 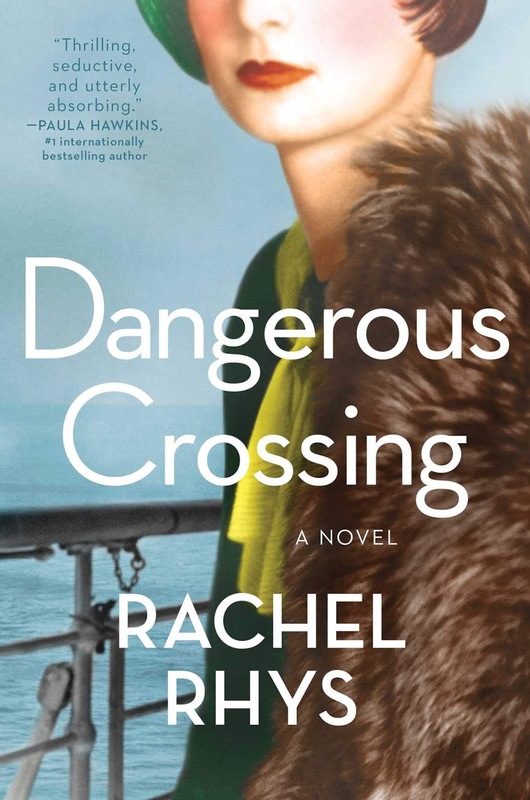 Put in jail, she endures great hardship and abuse until the authorities decide to put her with a lesser official's family in Northern Iceland until the king of Denmark's approval of her execution. At first the family is horrified that this is required of them and that they have no choice in the matter. Their reactions of distrust and anger dictate their ignoring of her and treating her as a servant so that she earns her keep but as time passes they come to see another side of the "murderess" and "convict". This is a fictionalized account inspired by the of the real life Agnes Magnusdottir who was the last woman to be publicly executed in Iceland. The author has taken great care in her research, both of Agnes and the other main characters in the story and the events surrounding them and also the way of life and what was happening in the country of Iceland at the time. She calls her story a "speculative biography" because of course she had to fill in the blanks of conversations and the relationships within her story but was faithful to stick to her research surrounding the events that transpired. Tradition sees Agnes as a witch of sorts, cold and brutal and uncaring but there is really no historical record of who she really was as Agnes was not really given a chance to tell her side of the story in court. The author gives a voice to perhaps a different story of Agnes' life that led up to her execution. The telling of the Agnes' story goes back and for from 1st person as seen through the eyes of Agnes and what she is feeling and going through as she awaits her execution, and then 3rd person telling the story of the family and of the priest Agnes requested be her spiritual advisor. The story was an interesting look into the power hungry officials, how the poor and classless servants were treated and given no voice, how the church officials may have played their role. It is also an interesting character study of both the family Agnes stayed with and Agnes herself exploring assumptions and preconceived ideas dictating reactions. The landscape of Iceland, which the author loves, also became a character of it's own mirroring the bleakness, hopelessness, poverty and hopelessness reflected in the story. 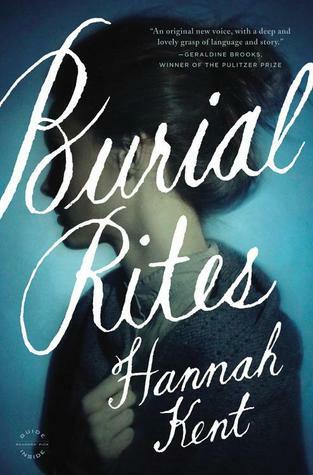 Even though one knows right from the beginning what is going to happen because it is history, the author did an amazing job in presenting a character that the reader wants to hope for as her story, as imagined by Hannah Kent, is unfolded. I will put a caution in to my reader's sensitive to it, that there is a couple instances of sexual content. Allie is dealing with a lot of loss in her life. When her second husband is killed in a horrific trucking accident it's just one more thing in her life to add to the pile. 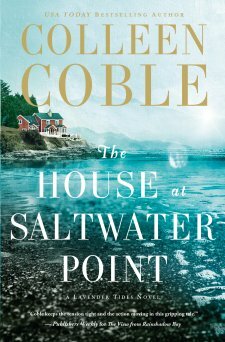 Then unexpectedly Joseph whom she's known since childhood suddenly surfaces in her life once again with an offer to help her retain and rebuild her family's dream of a oceanfront restaurant and hideaway. But Joseph comes with his own pain. He is a Vietnam vet who is trying to come to terms with his own losses and is trying to find peace. Wanting to hide in a remote cabin and be by himself he just can't seem to do anything but help when he sees people in need. But helping Allie will also stir up some demons from that past that neither know if they can handle. 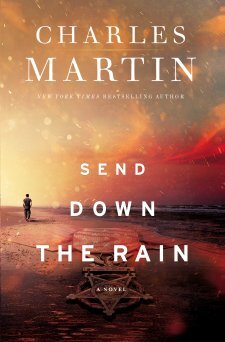 Once again Charles Martin has written a story that touched all my emotions and had me invested in the characters. It's a beautiful story of lost dreams, great sacrifice, worthiness, PTSD, forgiveness, and the struggle of good and evil. And as always there is a beautiful thread of redemption that all his stories carry. And that is a lot to pack into one story but he managed to do it. The story grabbed me in the very beginning and then kept hold of my interest and emotions right on through. At first there is quite a few story lines being laid but it all starts to come together and presents the story of a Vietnam vet who despite everything he's seen and experienced and his longing to hide himself away, steps up when he comes across someone in need. Charles Martin is my favorite author and once again he's proven why. His stories just do something in my heart, make me really think and feel, his prose is lovely and I can't pick up another book for a few days while I mull over everything I just read. The sentences and statements he makes throughout the book about forgiveness, good vs evil, and worthiness just took my breath away at times. Highly recommend. I picked this book out of my pile because my daughter has just booked her trip to Florence so I thought that was great timing. Meg has been in love with the idea of Florence since she was a small child and her beloved grandmother promised her a trip there. But when her Grandma died when Meg was 12 without being able to fulfill that promise her Dad promised he would step in and take her. As much as she loves him though, her Dad has never been good at doing what he promises. Not wanting to give up hope, Meg is surprised when her Dad sends her an airline ticket and cash card to take the trip. But it's under less than up front circumstances but Meg leaves anyway sure that he will meet her there. And while there she can meet with authors that deal with the publishing company she is working for and check out a new author they want to introduce her to. Sophia Borelli is only too happy to show Meg around the city of Florence and to show Meg more chapters from her book. Claiming to be an only survivor of the Medici family, Meg's bosses want her to find proof of Sophia's claim before they will do anything with the book. But when Sophia starts saying she can hear an old Medici princess Nora, speaking to her through statues and paintings, Meg starts to get caught up in Sophia's world of masterpieces and the Italian Renaissance. I gotta admit this started slow for me and never really did pick up or grab me. 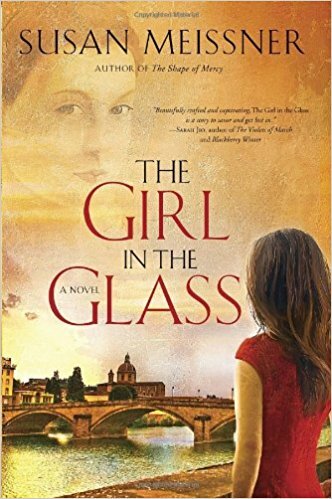 I found my mind wandering through out the story as I read, to the point where I could not even really remember all that much about the story to write the review, especially the historical parts about Nora and the Medici family and Sophia and her hearing things from Nora through the works of art. I found myself skipping a lot sentences and paragraphs and I didn't engage with the characters. This book does have great reviews on Amazon, however, so other readers did enjoy it. Though I did enjoy the descriptions of Florence, not sure what my thing was, but I just wasn't into this story. Adisa Johnson is an up and coming attorney at a huge law firm in Atlanta working in the corporate take over division. She thrives on finding traps in multi-million dollar business mergers and purchases and putting together major corporate deals. But when her aunt, who raised her and her sister, has a stroke and will need some help, Adisa heads home to small town Campbellton. 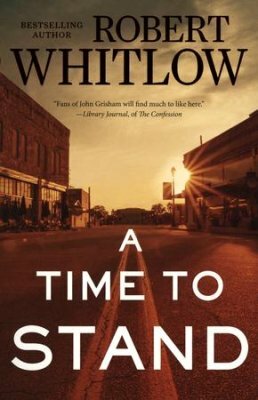 When she arrives she finds her home town embroiled in a huge controversial case that is pulling her town apart. A white police officer has shot a popular and athletic black high school student. The youth's life is hanging in the balance as all wait to see if the youth wil survive and the officer will be charged. He claims he had justifiable reason and that he heard a gun shot before he discharged his own weapon, that he is not a racist. But the black community is not buying it and claims that he used his weapon simply because the youth was black. Embroiled in the escalating controversy is a prominent black pastor who leads a very large church in the community. When she comes to town, the pastor assumes which side she will take and wants her help in whatever way she can to prosecute the police officer to the full extent of the law. Pulling her in the other direction is her old mentor who wants her to defend the officer. Just when she has made up her mind and wants to get into the fray by helping prosecute, the young black youth's grandmother does something totally unexpected and Adisa finds herself challenged to look at the case with new eyes and with the town becoming more and more divided she finds herself being drawn to do the unthinkable at great cost to herself. I really enjoyed this very timely story. It drew me right in and made me think of these issues from other angles other than what might seem obvious. It challenges perceptions about assumptions, consequences, justice, forgiveness and solutions to the seemingly insurmountable and unsolvable issues of race and profiling and policing. I loved the character of Adisa who was a strong black woman but also felt the affects of racism in her life but was open enough to have her own perceptions and assumptions challenged. I loved her bravery in doing what she thought she was being called to do. With the lines drawn in the sand for the townspeople, I found the aspect of the story which had both sides believing God for victory very interesting, because that is what happens with life. The story drew me to see how the author would handle that dilemma of which prayer God would answer and how. Though once in awhile, I found some of the conversations a bit stilted I really enjoyed this book because of how it opened up my own thinking and would be excellent, I think, for a book club to discuss. This is the 3rd installment in the Hollyhill series. It continues to follow the story of Jocie Brooke and her family. Jocie is now 14 and looking forward to finishing school and enjoying summer. Everything is going great for everyone in the family...her Dad and his girlfriend Leigh are becoming closer, her sister is doing well and still living with them along with her adorable little baby. They are all enjoying doting on him and the community seems to have accepted his chocolate colored skin in spite of last year's racist upheaval. Everything is fine except for the turmoil that one of Jocie's teacher's is causing her. He is new, stepping in for the regular English teacher on leave. And according to Jocie, he is just plain mean and has it in for her. But as the end of the school year approaches Jocie will have more on her plate to deal with than a frustrating teacher as a shocking appearance by the one person she never wanted to see happens and another stranger comes to town who could just ruin one of her most cherished relationships. I enjoyed this wrap up to the coming of age story of Jocie Brooks and the people of Holyhill. It was a satisfying ending to their storylines and their character arc and growth throughout the series was very interesting to me. The author continued in the vein of good storytelling though there was one phrase that I thought was used way too much throughout the story and I found myself sighing everytime it was brought in. I thought the author was very skillful in treating the storylines of a stalker, a teacher who was picking on a student, and small town community attitudes with the 1960's feel. She really was able to convey the attitudes and approaches to those kinds of things from that era's viewpoint. We would definitely not approach things that way today. Though this was my least favorite of the 3 books it wrapped everything up nicely. Savannah's family is falling apart. Her husband of twenty years has left her for someone else and neither her or her children are coping well. While her oldest is at college and her 16 year old is at boarding school, Savannah decides to head for her family's vacation home to try to move on with her life. There she is befriended by a precocious little girl, her eccentric but loving and wise aunt and her introverted novelist father. 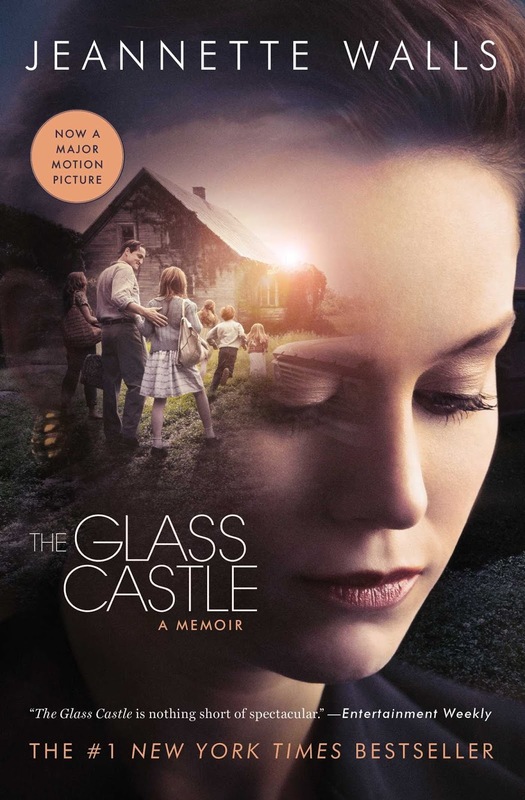 In trying to heal, she takes on the project of restoring a once beautiful greenhouse to it's former glory. But is there hope in all the ruin? Oh boy where do I begin. I finished this book yesterday and my mind and heart are still mulling it over and dealing with all the emotions it evokes. This story is so relevant to this day and age where so many families are devastated by the chaos that marital and family betrayal brings. It dealt with some heavy duty topics: adultery, marriage break up, loss of a child, suicide, guilt, worthiness, forgiveness. The family in this story was facing some major issues. Tragedy, that instead of drawing them closer, was driving them apart as they tried to cope. There were some light moments, some heart breaking moments, some very, very difficult moments and yet the story was infused with hope. I felt the reactions, emotions and struggles of the each of the characters was written very real. I loved that the author didn't try to pretty up and skirt around the pain and not only showed the heartbreak and raw feelings of the parents but also of what the teenager and young adult child were going through. I was the young adult many years ago and this story resurfaced many, many feelings that I went through so I know they were written very honest and legitimate. The characters and their reactions were very real and not perfect as they struggled to make sense of what happened and how to move forward and to face the grief that they had never really dealt with. I loved the symbolism of the broken down, seemingly dead green house and how that became a place of hope and looking beyond the obvious for Savannah. In real life, I think the characters would have had to take much more time to work things through but for the sake of the story the timeline did move quickly. (Otherwise you would end up with a very long tome). There is some physical feelings between husband and wife that are added for those who are sensitive to that in their reading material but I felt they were done tastefully and it is definitely part of what a couple experiencing this would go through.There is great questions in the back and this whole book would make for a great book club read, both Christian and non-believer, as there is so much that could be discussed. Alice Love wakes up on the floor of her gym staring up at a bunch of strangers who seem to know her quite well. Apparently she fell of the spin cycle and had a bump to the head. But wait a minute, Alice hates the gym. And that is not the only thing that is strange. Very worried about the baby she is pregnant with, her and Nick's first child, Alice is baffled when the hospital insists she is not pregnant at all. And not only that, she is not 29 but 39 and her three children are waiting to be picked up at school. And her world just keeps getting stranger as it is apparent that she has totally lost 10 years of her life out of her memory. Now as the hospital releases her she must go to that life she has no memory of and try to put the pieces together so that she and her family can function in some way. But her family is broken and she is in the midst of a divorce and she has no idea why, she barely has a relationship with the rest of her family and apparently she is some super mom at her kid's school organizing a huge fundraiser that will get them in the Guinness Book of World Records. And who on earth is this "Gina" that everyone doesn't want to talk about? This all is an Alice that she does not recognize at all and now she must figure out either how to go back or how to go forward. "How long have you been married for?" Alice interrupted. The terror of not knowing the facts of her own life gripped her again. She was on one of those amusement park rides that slammed you left, then right, then turned the whole world upside down, giving you unfamiliar glimpses of familiar things. Alice hated amusement park rides." I could actually feel her uncertainty and fear. The story examines looking at the blessings of your life and what might be important and what isn't. It explores the workings of family relationships and what interferes with them. The story is told from 3 voices: Alice, her sister Elizabeth who has desperately been trying to have a baby and can't, and that of her beloved grandmother. The story was thought provoking, funny in a lot of places and also sad in some. For the most part I enjoyed the story and really wanted to find out what happened to Alice and if she would settle within herself who she had become if her memory didn't return. 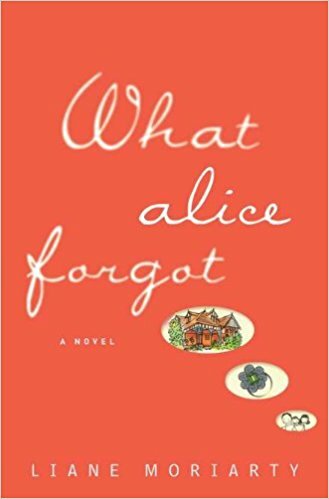 The author gave enough vague references to Alice's former life that kept you turning the pages to find it all out along with Alice though a few sections of the book did drag on a bit. The is the 2nd installment in the Lavender Tides Novel series. Though it is part of a series it can be a stand alone novel. Some favorite main characters from the first book make an appearance but you don't have to know their full story to "get" this one. There is also a character introduced who was barely made mention of in the first book, but again the author gave enough background that you got their story without having had to have read the first. Though that being said I loved the first book, "The View From Rainshadow Bay", so was looking forward to this one. The element of Ellie Blackmore flipping houses for a living was interesting as it is such a popular thing right now on a lot of tv channels, and the author opened each chapter with a quote from the character's renovation blog which was an ambiguous reference to the coming chapter. There was a lot of action, a smidge of romance and a well done exploration of family loyalty and personal history affecting how a person will react. The characters are well developed but I must say at first the character of Grayson I found most annoying and presumptuous. Though I enjoyed the action and suspense and the story in general in the back of my mind I kinda wondered if I thought it believable. But it was a great summer beach read that took me away to another place and kept the pages turning to the end. After receiving a note in the mail from a former co-worker that is saying her goodbyes as she faces a terminal illness, Harold Fry writes her back despite not having had communication with her for many, many years. But as he goes to post the letter in the mailbox, he just can't bring himself to drop it in. After a conversation with a young gas station attendant about hope, Harold makes an impulsive decision to give his friend hope, by walking all the way across the country to see her. But Harold didn't quite think through everything this decision would entail. He has no proper footwear or coat, no maps or phone. His wife does not understand what he is doing. But he knows he must keep going, because he is trying to save his friend's life. This story was an interesting and heartfelt look into the human heart. As Harold walks he has nothing to do except think and he faces his own thoughts, emotions and history. As does his wife back at home. It's a subtle coming to terms with aging and what one's life has become because of your past decisions and what one's life can still be. It's also a story of perspective and how we remember events in our lives. As Harold walks he comes across many interesting characters who both add to his walk but also those who are detrimental. The book drew me right in as I kept the hope that Harold would indeed make it on time to Queenie and that somehow against all odds this walk would save her. But it also drew me because, strangely, in so many ways, Harold is so darn relatable. The story is very introspective but the author brilliantly unfolds the past that has led Harold to this point. It is a study in human nature in many layers not just of Harold but all the people that his journey brings him across. 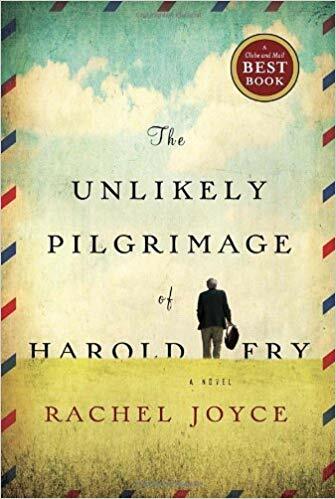 About 3/4 of the way through, just when I thought I had enough of the introspection, the author reveals aspects of Harold's story one after another that had me crying and then crying again and yet again. I thought this was a lovely story that was very well done, humorous and subtly thought provoking. This is the sequel to The School of Essential Ingredients. 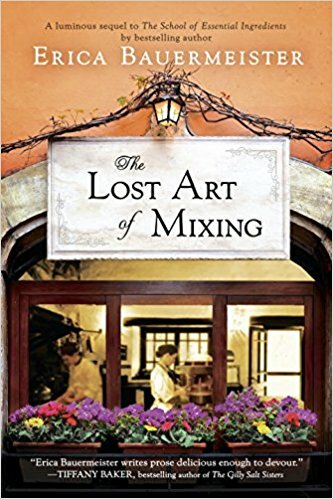 Again the author takes a cast of several characters and individually tells their story even as she slowly mixes their lives together. Lillian, the restaurant owner returns, though she is taking a break from teaching her classes. Her relationship with Tom has continued to progress but now something has happened that will change their lives forever. Chloe loves working for Lillian and is not only learning from her but is starting to step out with her own creations. After having her heart broken she finds it hard to trust but moving in with aging Isabelle she is starting to let down the walls just a bit as she finds a place of acceptance even as Isabelle is starting to lose her memories. Finnegan has started working at the restaurant as a dishwasher. He would love to know Chloe better but her walls are hard to break through. He's a hard worker, quiet and reliable but despite his great height his past has taught him how to fade into a background. Then there is Al, Lillian's accountant. His meetings with Lillian are always something to look forward to as she always brings him some delicious concoction she has made. He's always taken great comfort in numbers, but as of late with problems at home with his wife, Louise, he has found comfort in rituals. 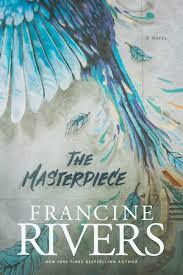 Like the first book the author's prose and descriptions are lovely as she builds the characters stories. They are an eclectic mix of backgrounds and personalities but food is always the the underlying thread that connects them. The story and characters were engaging though I just didn't love it as much as the first book. There was just something missing that the first book had. Maybe I read them too far apart. That is not to say it wasn't a good read but it just didn't evoke the same feelings in me as the first. I loved how the author ended the story with a throwback to something that happened in the beginning of the story. It really tied that part together. They say everyone on a ship is running away from something. It is 1939 and rumors of war are swirling. 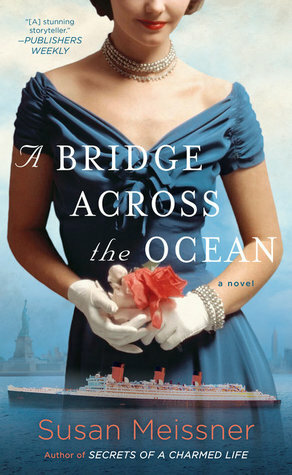 Lily Shepard finds herself bound on a ship for Australia, her passage payment assisted by the government, along with many other young ladies, in a scheme to anyone prepared to go into domestic service to British families owning large houses in Australia. She is excited to start fresh even though she will greatly miss her family. She is sharing tight quarters with two others, another young lady and a middle aged woman whom no one seems to like. During the voyage Lily will befriend many different characters, all of whom are carrying secrets of their own to their new country, the rich and poorer alike. But Lily brushes away concerns, after all they are on a beautiful ship, with parties and balls and exotic ports they will be stopping at. She is determined to make the most of her time aboard ship. Maybe she might even meet someone special. But it's a long trip, 3 months at least, and the stresses of the different classes of people, from the rich to the tourist class to the poorer immigrants and the Jews fleeing the rising tensions in Europe threaten to boil over. And secrets are hard to hold. As the voyage continues the multitude of them comes to overwhelm their bearers until 2 passengers lose their lives and a shocking arrest has been made. This story was made of many colorful and varied characters. The author's premise of exploring the stresses and tensions of the "world-within-a -world" is very interesting. Because it was 1939, communication with those off the ship would have been very limited so the passengers were in a vacuum of sorts of what was happening in the world outside of the ship until they stopped at different ports and where able to hear news. And with so many combinations of people, social groups, lifestyles and secrets something or someone was bound to come unhinged. I was unsure how I felt about the writing style. It was a bit different, not bad, just different. At times it almost felt like the voice over narration you find on shows for the sight impaired where they narrate the actions going on along with the voices. Like I said, not bad, just different. I had a hard time liking the main character in this one. I know she was young in the story, but she just seemed so immature at times. Some of her decisions and actions left me feeling very frustrated with her. The author did a good job not revealing secrets until opportune times so that I as the reader, just had to keep turning those pages because I wanted to find out. When famous British actress Laurel Nicolson was 16 years old, she was witness to a murder of a man on the front steps of her home. Hiding in the tree house while her little brother's birthday party was going on, Laurel was about to join the cake cutting in the garden when a man came up the drive. When her sweet, loving mom Dorothy answers the door to find him there, she seems to know him but instead of a welcome she plunges the cake knife into him. Fifty years later, Laurel is home along with her siblings to celebrate her mother's 90th birthday. But questions have always lingered about her mother since that fateful day and now her mom is saying things that just don't make sense. 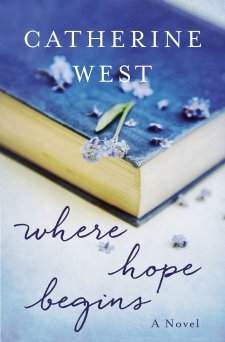 Because Dorothy is in a nursing home and Laurel is staying in the family home, she goes on a hunt to find the answers to the questions that linger. What she finds will lead her to 1940's London during the blitz and a life her mother has never spoken of. 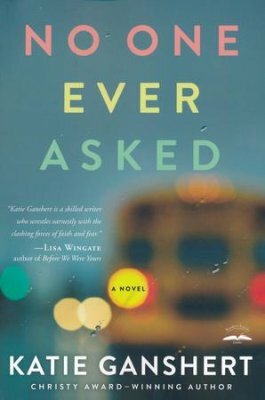 Instead of answers there seems to be even more questions and a feeling that she has never really known her mother after all. I loved this story. It goes back and forth between present day, the 1960's and 1940's England just before and during the London Blitz. There were several points of view and the author wove them together in such a way that I was never confused. The story captured me from the very beginning and I found it hard to put it down. The mystery of Dorothy's past is revealed in such a way that kept the pages turning and it was interesting to try and resolve the Dorothy of the 1960's and the present with the Dorothy of war torn London. The reader is taken on a journey of three young people who's lives intersect and are forever changed by knowing each other. 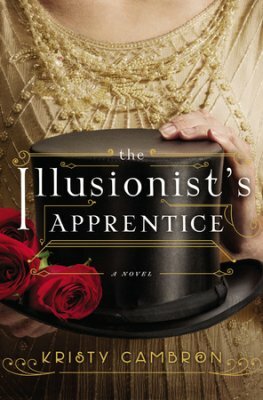 Events conspire, both instigated by each of them and those not under their control, that lead them to make decisions that they might not otherwise and I, as the reader, eagerly turned the pages trying to find the mystery of who this man that was murdered by Dorothy might have been in her past. Throw in a love story, and the fact that the war might have caused people to do things they might normally have never done and a twist I did not see coming and you end up with a wonderful mystery with great characters that kept the pages turning. This was one of those rare stories that caused a satisfied sigh to escape when I turned the last page. The League of Pensioners is at it again. 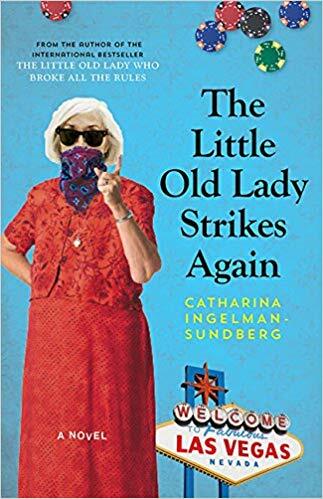 Martha and her gang of seniors is in Las Vegas and planning the heist of the century. They want to steal from one of the biggest casinos in town. As usual, things don't go quite as planned. Back home, they buy a house in country they can all share as they plan how to disburse their "winnings" to senior facilities and cultural programs. But their new neighbors give them a run for their money in the crime department. This is the second installment in this light hearted series with a message that looks at some of the issues that face seniors while it provides laughs to the reader. Unfortunately this second book fell flat for me (though it does get good ratings on amazon but not my library's site). While I loved the first one, laughing through the whole thing, this one bordered on the ridiculous for me and I was kind of bored right from the get go. While the crime capers in the first one had me in stitches trying to imagine my own senior parents doing such a thing, this one didn't seem at all even near believable in the dealings and interactions with their new neighbors. I doubt that group of people would be as dumb or easily fooled as the book presented. I also felt the cover and blurb led me to believe the setting would be Las Vegas which I thought would put an interesting twist into their story but that really was only at the very beginning. In all I was just reading to finish the book while not really enjoying it as the first. There is a third and I will give it a go to see if it returns to the enjoyment of the first one. This fictionalized account of the love story between C.S. 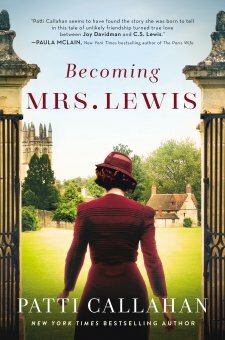 Lewis and Joy Davidman is written from the viewpoint of Joy. 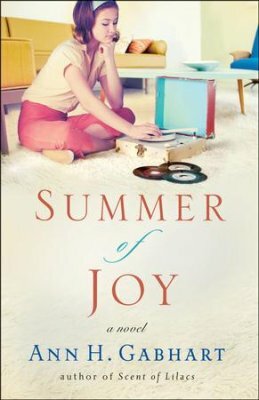 In a difficult marriage to an alcoholic and philanderer, Joy is struggling to find her place as a wife, mother of 2 boys and a writer. An avowed atheist and once a member of the Communist party, she has a spiritual awakening and writes to Lewis in hopes of advice to help her in her journey. Thus begins a pen pal relationship that quickly goes from spiritual advice to becoming confidants to friendship and finally to love. I am having a difficult time reviewing this book. I was excited and very interested in the story of Joy Davidman and C.S. Lewis. I had watched Shadowlands years and years ago and vaguely remembered some of it so thought this book might be a great way to learn about first their pen pal relationship, then friendship, then love. Unfortunately, it was everything else surrounding their story that finally made me set aside this book at 3/4 of the way through. I just didn't care enough to push through to the end. The pace in the book was very slow and because I didn't really know their story, I found it mentally tiring trying to separate the fact from fiction or the fleshing out of the story. I felt the author did a ton of research into the topic and that she really gave a voice to Davidman who was a gifted author herself, but because of the times and circumstances of her life found herself struggling to find her place. Joy Davidman did not have an easy life. I enjoyed reading excerpts of Lewis and Davidman's correspondence and quotes from Lewis. And the description of how the idea of Narnia and it's characters and story was most interesting. The descriptions of England and it's countryside and Oxford were lovely and made me really want to visit that country. That being said the circumstances surrounding their story and the way it was written read very much like a worldly novel to me. 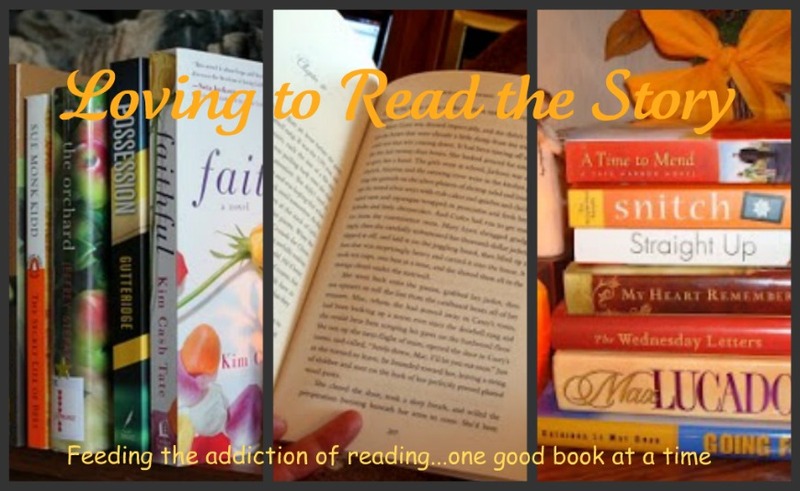 Don't get me wrong, I read all sorts of genres beyond Christian fiction, but when I pick up a Christian fiction book, I have certain expectations. I think that had the book been a memoir or biography I would have approached it from a different mindset as an actual factual read and would have thought nothing of it. But because it is labeled as fiction and from a Christian publishing company, I found myself mentally tiring and bogging down trying to sort what might have been actual fact and what was the author fleshing out the story. Even if it had been a mainstream novel from a mainstream publishing house I would have approached it differently. I found way too much detail surrounding circumstances that I don't necessarily want in my choice of Christian fiction. And the amount of alcohol and drinking portrayed in the story not only on the part of Davidman's alcoholic husband but also on the part of Davidman herself was too much for me in a "christian fiction" novel. Hence, I feel that for me, the story would have been better served as a non-fiction biography. The reviews by others seem to be divided down the center and leave it as a book you either love or not with not many reviews in the middle, but for me, I'm sorry to say, it was not my cup of tea. It's one of those books where one would have to read it themselves to make up their own minds about it. The Bright family experienced a huge loss of son and brother when their infant Henry passed away. Pauline struggled to get past the death of her son, so when her husband proposed moving to Philadelphia to get away from the family tobacco plantation so they could have a fresh start, Pauline agreed. Living with Mr. Bright's uncle in his house/funeral parlor which Mr. Bright will inherit at some point, the family has a chance at a better life. Pauline finds solace in doing the makeup of the deceased and when her middle child, 13 year old Maggie, insists on learning how to also, Pauline convinces the uncle to let her. Though they still grieve for Henry, things may be turning around. Then WWI hits and when Mr. Bright is called away to training, Pauline and the girls are left on their own to help at the funeral home. Little did they know that not only would WWI start affecting all those they knew, but with it would come the Spanish flu epidemic. No one is immune and as fear and grief start to grip the city and the bodies start to pile up, the city of Philadelphia and the Bright family will never be the same. 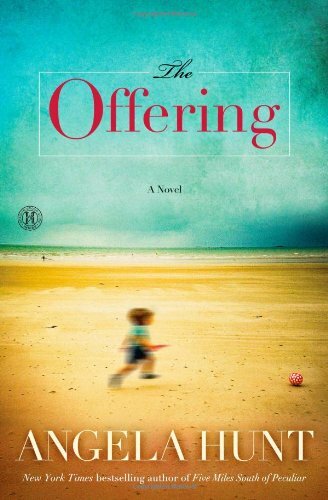 This a a beautifully written story about family and love, grief, and survival. It explores decisions made in the worst of times and how mistakes and choices affect our lives. I never really knew anything about the Spanish flu pandemic but this story really brought home the reality of what these kinds of viruses can do. The author did a tremendous job of the historical aspect of the story. I thought the perspective of how a funeral home of the time would handle such an influx was very interesting. The story is written back and forth from the perspectives of Pauline Bright, the mom, and each of her 3 girls. 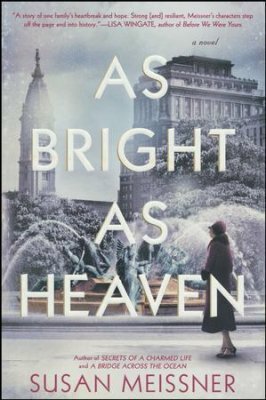 The Bright family was a very everyday kind of family trying to get past the passing of their baby boy when they went to Philadelphia and I thought their grief and it's effects was well done in their story. It's also a coming of age story as the girls grow up within the story. How each of them, with their own personalities and age, reacts to the events surrounding them really drew me. Even though this story was set in an almost hopeless setting the author still was able to maintain a positiveness in the midst of horror and sorrow. I loved the characters and was totally drawn into their world. 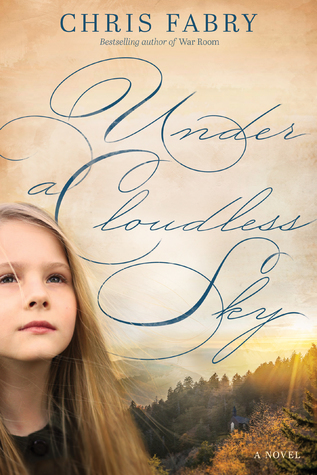 In 1933, in the mining town of Beulah Mountain, two young girls form an unlikely friendship. Though from different walks of life, Ruby being the daughter of one of the mine's owners and Bean being the daughter of an alcoholic mine worker, their friendship runs deep and ignores the prejudices from both sides of the track, so to speak. Ruby's father is working hard to try and bring changes to poverty stricken area but he is up against the the other mine owner who only looks at the bottom line and where he can take advantage. In 2004, Ruby is now in her 80's. She has been invited to the grand opening of a museum in the town of Beulah Mountain where the mining history of the town will be featured. She has avoided going so far as she doesn't want to think of the tragic massacre that happened there just before she left. But as she listens to a message on the radio from her favorite preacher, she realizes she needs to deal with some secrets from her past. But when her son and daughter show up announcing they want her to quite driving she knows it is now or never and facing the past can no longer be put off. At the same time in Beaulah Mountain Hollis Beasley is trying to hang onto his property that has been handed down to him. It is the only thing that his family owned and with come all the history, memories and family legacy. But the mining company has convinced the rest of the town to sell so that they can literally strip the mountain. Hollis doesn't know how much longer he can be the last holdout, especially now that his beloved wife is ill. As the town is nearing it's celebrations for the Company Store Museums grand opening a perfect storm is brewing for Hollis, Ruby and the town of Beaulah Mountain. I loved this story!! Bean and Ruby drew me in right from the beginning. Their personalities and unlikely friendship were a great element to the story and it was fun being privy to their developing friendship. I loved the historical aspect of the story that told of the hard lives of the miners and the attitudes of the owners and how that played into Appalachian history. I thought the author did a great job in building all the main and secondary characters in spite of their being quite a few. I was never confused as to who was who and their relationships and stories were all interesting and relatable. Because I am at that time in my life of parents in that age group the part of the story about Ruby and her children really struck home in a lot of ways. There are twists in the story that were timed perfectly. This was a wonderful read. Highly recommend. This story was an interesting look into terrorism in the Middle East and it's legalities as related to U.S. terrorism laws. Hana Abboud was a very interesting main character. As a Christian Arab Israeli lawyer there were many facets to her personality and her faith is strong and touches everything including her work life. I really liked how faith forward her character was. 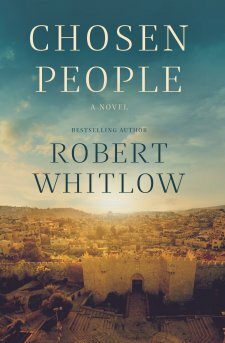 Because of growing up in Israel and her skill with the languages there, she is now working for an Atlanta law firm when she is asked to be co-counsel on a case that a secular Jewish lawyer, Jakob Brodsky, is trying to pursue for one of his clients, a man who's wife was killed and daughter injured in a act of terrorism while on holiday in Jerusalem. As the case progresses, they realize they will need help and Hanna pursues hiring an investigator who will help them on the Middle East side of digging out the truth. As she and Jakob try to juggle their working relationship events in Atalanta start to look like there might be a connection to the case they are working on. The story was good though I felt the romantic part of the story didn't ring quite true for me. There was some aspects of that relationship that just felt rushed. But other than that I found it interesting learning about relations between the Arab and Israeli parts of the Holy Land, reading about different areas and attractions of Israel and how laws affect pursuing justice in acts of terrorism. I loved the exploration of being chosen for a greater purpose both in the sense of the Jewish people and in a personal way and enjoyed Jakob's growth within the story. If you like legal thrillers with lots of action and light romances this would be a great read, though if reading about terrorism is a trigger for you, I would have to add a caution as this book does not shy away from it's plans and effects. Memoir of a young child who survived a hugely dysfunctional upbringing. This story evokes many emotions out of the reader as you read of her horrific childhood of neglect and abuse. An alcoholic father who yet, when he was sober, taught them many things, a mother who basically let them do whatever and left them to fend for themselves as she was into her artistic pursuits and shunned anything to do with household care or raising a family, constantly on the move, living in extreme poverty were the norm for this author. But in spite of it all she seems to have grown into a responsible, caring adult who in has managed to keep from being bitter and kept a relationship with her parents to the end. It's always interesting to take a peek into someone else's life, so different from my own. The book moved at a good pace, was absolutely heart breaking at times, maddening at times and makes you question how this family could ever have fallen through the cracks of the social system.